The Division of Field studies carries out studies on community nutrition and dietetics, in addition to taking up continuous as well as special surveys of National Nutrition Monitoring Bureau (NNMB). To provide orientation training in health and nutrition to the related personnel.. The division focuses on carrying out a wide range of investigations in the community nutrition and operational research in rural areas of Andhra Pradesh and other parts of India. . The activities of the field division are mostly collaborated with State Governments, Central Government and International Agencies while planning and conducting diet and nutrition surveys, evaluating ongoing nutrition programmes and conducting the studies on socio-cultural aspects of nutrition. Studies have been conducted to assess the health and nutrition status of primitive tribal, refugees of Bangladesh and nutrition & health and psychological profile of institutionalized children were also carried out. Impact of drought on diet and nutritional status of population of various states viz. Andhra Pradesh, Gujarat, Rajasthan and Orissa was carried out. The continuous data collection on diet and nutritional status of population through NNMB and the one time assessment of diet and nutrition status of the community at district level through the project “Nutrition Profile of India”, were also carried out. 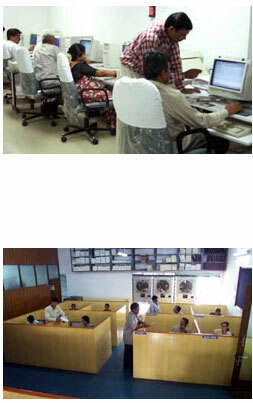 Nation-wide surveys on IDD are also being carried out by this division. Evaluation of Tamil Nadu Integrated Nutrition Programme (TINP): The result shows that the reduction of severe grade undernutrition was 48% as against the target of 50%. Integrated Child Development Services (ICDS) in Andhra Pradesh under APER baseline survey in rural and tribal projects. Among the rural areas about 68% - 82% of mothers of 0-72 months children utilized at least one of the ICDS services and 39% of the pregnant and lactating women utilized at least once ICDS services.Similarly, more than three fourths of the target population was wailing ICDS services in tribal areas also. Diet and nutrition situation in drought affected states of Andhra Pradesh, Gujarat and Rajasthan: No significant variation in the diet and nutritional status of the community compared to normal situation, which could be due to better food security and better management by the State governments during the drought situation.